NCAA Football Predictions December 15: Let’s go bowling! It is the greatest time of the year to be an NCAA football fan. It is bowl season and fans will be able to watch a new bowl game nearly every day. In total, there are 40 bowl games this season. The biggest will be played on January 7th in the National Championship Game. Before the big game in January, the action kicks off on Saturday, December 15th with five big pre-Christmas bowl games. 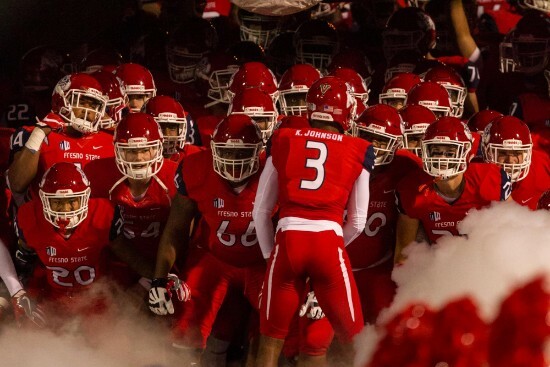 The Fresno State Bulldogs are the favorites on Saturday going up against the Arizona State Sundevils. The Bulldogs are the No. 21 ranked team in the country and are ‘burning hot’ according to ZCode System’s Power Ranker. The Bulldogs are a much more stable team and put together a great 11-2 record during the regular season. Louisianna Ragin’ Cajuns compiled a 7-6 record while in-state rivals the Tulane Green Wave were 6-6 during the season. Neither team was spectacular and this game may be hard to call. The bookies have gone with Tulane as the favorite. Tulane has won two of the last three meetings between the universities. The Green Wave also go into the Cure Bowl having won their season finale. North Texas Mean Green go into the New Mexico Bowl with a 66 percent chance of winning according to ZCode System’s calculations. They are ‘burning hot’, but go against a Utah State Aggies team that is ‘burning hot down’. The Aggies finished 10-2, one win better and a loss fewer than North Texas. North Texas is the bookies’ favourite going into the game. The two universities have not played in recent time, so there is no history to go on to select a winner. Utah State had a much harder schedule during the regular season. The Aggies aren’t No. 23 in the country for nothing. They were beaten by Boise State to end the season. Despite being the underdog, Utah State will finish on a high note with a win. The Camelila Bowl is a battle of the Eagles as Eastern Michigan play Georgia Southern for the first time. Eastern Michigan finished the season at 7-5 while Georgia Southern was 9-3. Eastern Michigan has won five of its last six games, but Georgia Southern is the bookies’ favorite. 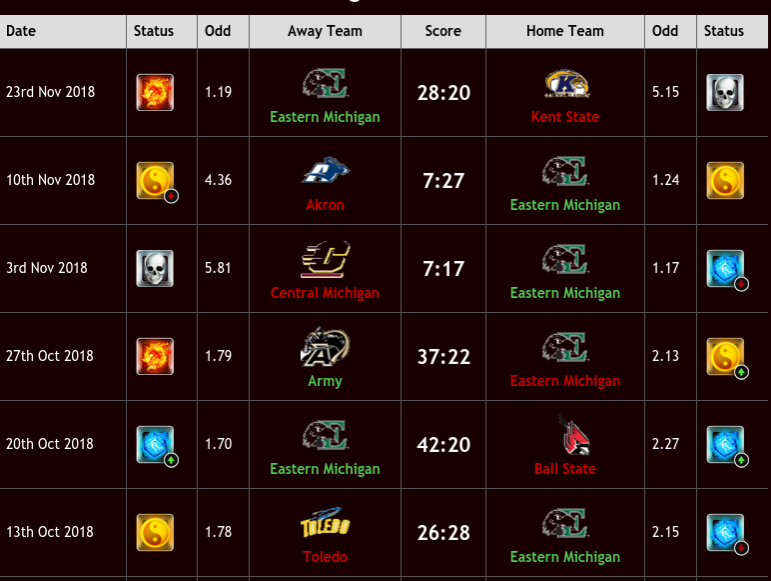 ZCode System predicts an Eastern Michigan win and with the team’s recent performance and stability, it is easy to see why. Appalachian State is ‘burning hot’ with a 10-2 record. The Mountaineers are 67 percent likely to win the New Orleans Bowl over Middle Tennessee. 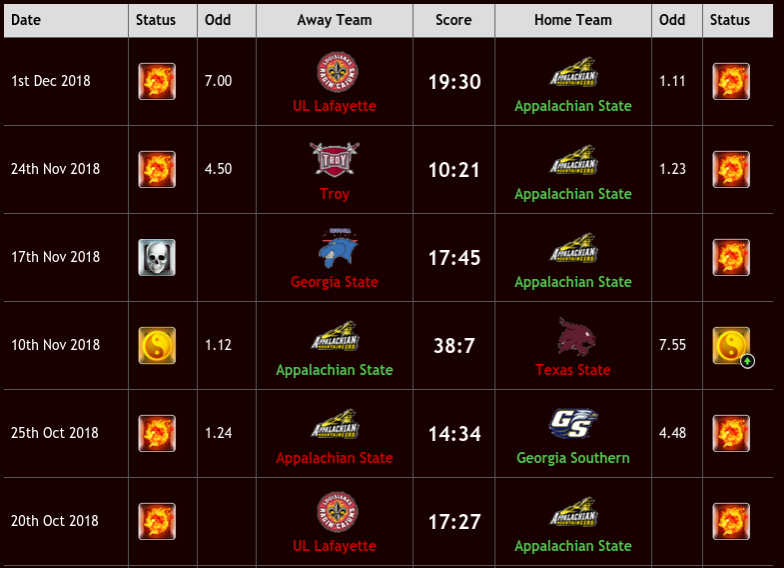 Appalachian State has won 80% of the time when it has been the ‘favorite’ in the last five games. In addition, the Mountaineers have won four straight games. Appalachian State will finish the season strongly with a win over Middle Tennessee.